Immigrating to a new country is a huge undertaking. Along with feelings of hope and excitement are also feelings of uncertainty and isolation. 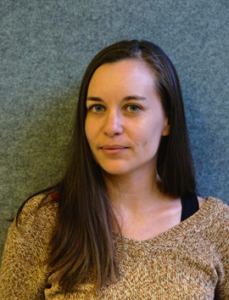 Arielle Kandel knows firsthand what it’s like to make a new home in a new country. She created New Women New Yorkers to help other women who’ve chosen to make the United States, and specifically New York City, their new home. Arielle’s grandparents were Jewish immigrants from Eastern Europe who came to New York in the late 1930s to escape the antisemitic policies in Europe and build a new home for their family. Arielle’s father was born just a few months after they arrived in America, but after growing up in New York immigrated to France, where he met and married Arielle’s mother. Three years ago Arielle decided to return to the city that had accepted her grandparents during their time of need. Arielle has a background in international law, working primarily with refugees and asylum seekers. She founded New Women New Yorkers 2 years ago to help young women like herself, immigrants and refugees, adjust and become more fully integrated into their new country. New Women New Yorkers is unique in the NYC non-profit world as no other local organization is focused specifically on providing programs responding to the needs of immigrant and refugee women from all communities and backgrounds. In many cultures women are given less access to education than men, which puts them at a greater disadvantage in New York’s highly competitive jobs market. “Women often remain the primary caregivers for children and older family members, which makes it even more difficult for them to pursue their education and professional goals.” New Women New Yorkers will be partnering this fall with a local childcare provider to launch a new track of its professional development program specifically for immigrant mothers of young children, with childcare provided for free during the time of the training sessions. 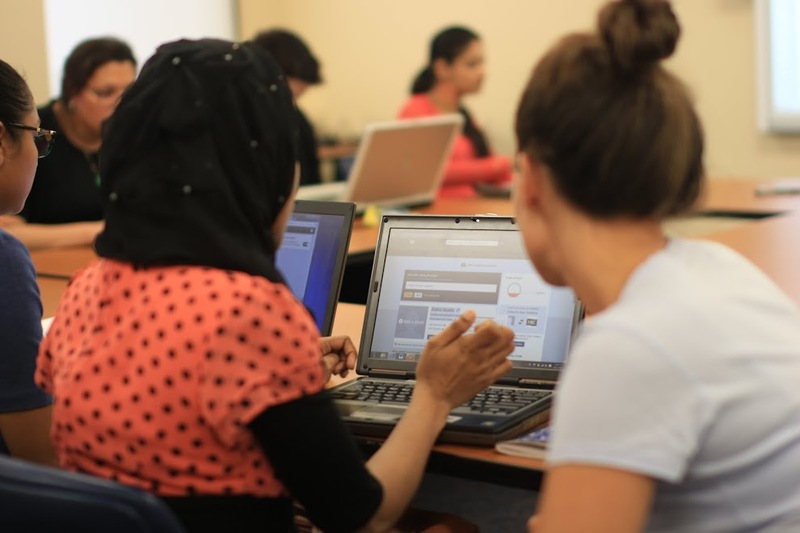 The goal of NWNY’s programs is not only to help young immigrant women look for a job and enter the workforce, but also to “empower them to become role models and mentors for other young women immigrants.” Through the LEAD program and regular Meetups and other gatherings, they gain leadership skills and are empowered to become agents of change in and for their communities. 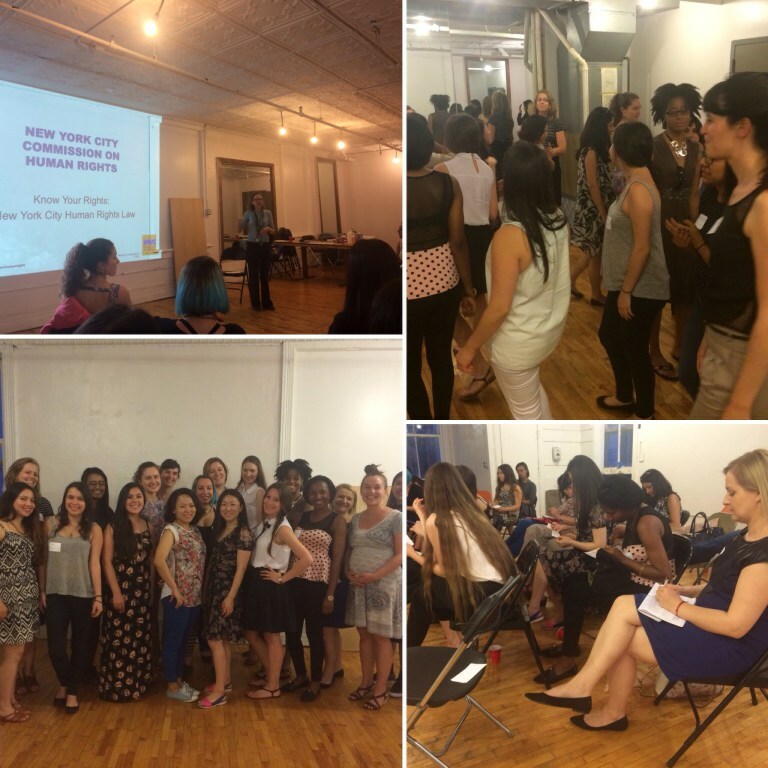 New Women New Yorkers takes a collaborative approach to serving the young women immigrants of New York. It partners with other organizations to bring programming to life. NWNY donors and partners include the Cathay Bank Foundation, the Lilah Hilliard Fisher Foundation, the Centre For Social Innovation, and the New York Public Library, among others. Regardless of their country of origin, young women immigrants share similar challenges as immigrants and as women. The LEAD program is focused on serving young women aged 16-35, providing cross-community services to foster friendship and a sense of solidarity and belonging. 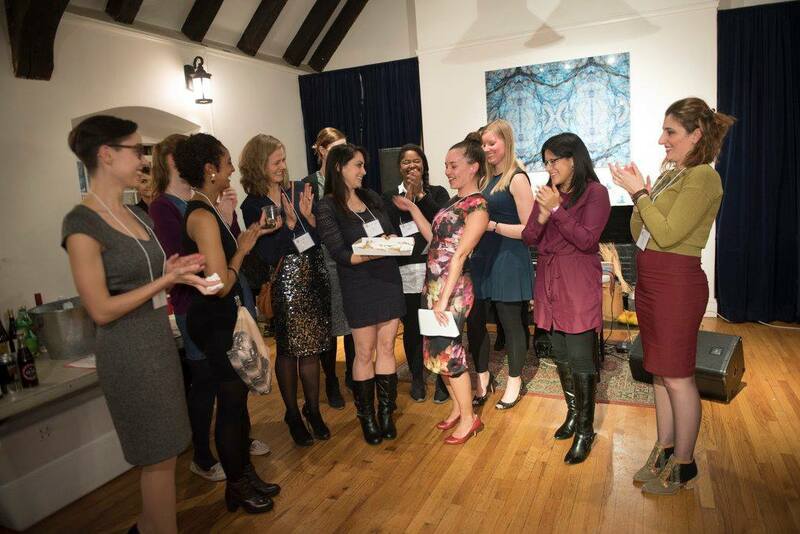 As a 501(c)(3) nonprofit organization, New Women New Yorkers is always in need of support from the community. This is especially true because NWNY is a very new organization. Fundraising sources include special events revenue, crowdfunding and individual donations, as well as foundation grants and corporate sponsorships. Some successful events so far have included New Women New Yorkers’ Launch Party, a photo-and-storytelling event, and a gala evening including a panel discussion with women immigrants. Increasing its reach is another key need of the organization. 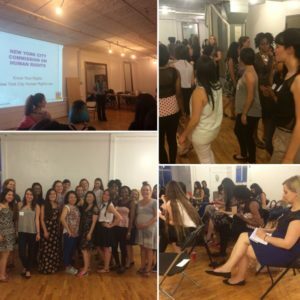 New Women New Yorkers has been conducting outreach efforts via a diversity of avenues, including through its network of nonprofit and other community partners, social media, community events, and more. By spreading the word about NWNY to the immigrant community and to potential partners and sponsors, the organization is able to gain more participants and supporters.